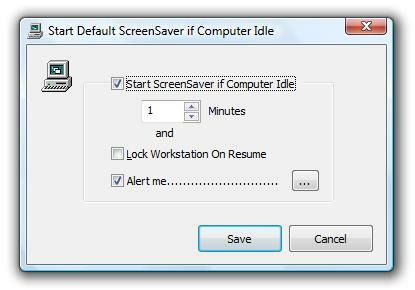 Does your ScreenSaver does not start when it is configured to start on Windows Vista or XP? 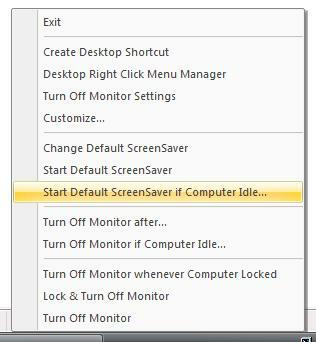 Given below software utility can start screensaver when your computer is left idle, and also you can change the configurations easily. Given below software has been tested on Windows 7 as well, so in case you do upgrade to Windows 7, this utility will work fine on your new operating system as it would work on Vista or Windows XP. How about giving it a try with free download? Turn Off Monitor / Start ScreenSaver whenever you want or after configurable computer idle minutes and much more. Register Turn Off Monitor Utility for $5.00.